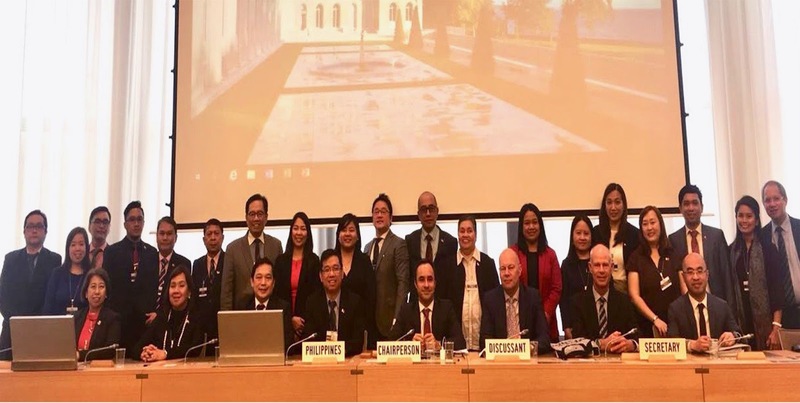 Member economies of the World Trade Organization (WTO) praised the Philippines’ economic performance as it completes its 5th Trade Policy Review in the World Trade Organization on 26 and 28 March 2018 in Geneva, Switzerland. The Review evaluates the country’s trade policy regime from 2012 to 2017. 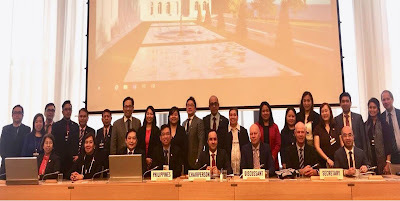 DTI Undersecretary Ceferino S. Rodolfo headed the Philippine delegation, with Undersecretary for International Economic Relations and Philippine Ambassador-Designate to the WTO Manuel A.J. Teehankee heading the DFA contingent. Undersecretary Rodolfo highlighted the Philippines economic performance during the review period and the government’s initiatives that were designed to achieve the goals of zero poverty and inclusive growth and to deepen policy reforms that ensure a more open economy, and an enabling business environment, devoid of any red tape. He also emphasized the work done by the country on its MSME advocacies and FTA engagements. Ambassador Juan Carlos Gonzales, Colombia’s Permanent Representative and Chairperson of the Trade Policy Review Body of the WTO, recognized that the Review offered an excellent opportunity for other WTO Members to deepen their understanding of the trade, economic, and investment policies of the Philippines, pointing out that more than 330 questions from 22 Members were submitted to the Philippines during the review process. Ambassador Gonzales noted that: Members praised the Philippines for its strong commitment to preserve and strengthen the multilateral trading system, and its active role to advance the negotiations in areas such as fisheries subsidies, ...Micro, Small and Medium Enterprises (MSMEs). The WTO Report highlighted the Philippines 6.6% six-year average GDP growth from 2012 to 2017 and expressed optimism with President Duterte’s 10-point socio-economic agenda. In 2017, the country’s total trade amounted to USD 142 billion, up by 10% from 2016 and by 35% if compared in 2012. Quite significantly, in 2015, poverty incidence was reported at an all time low of 21.6%, as compared to 25.2% in 2012at the beginning of the review period.